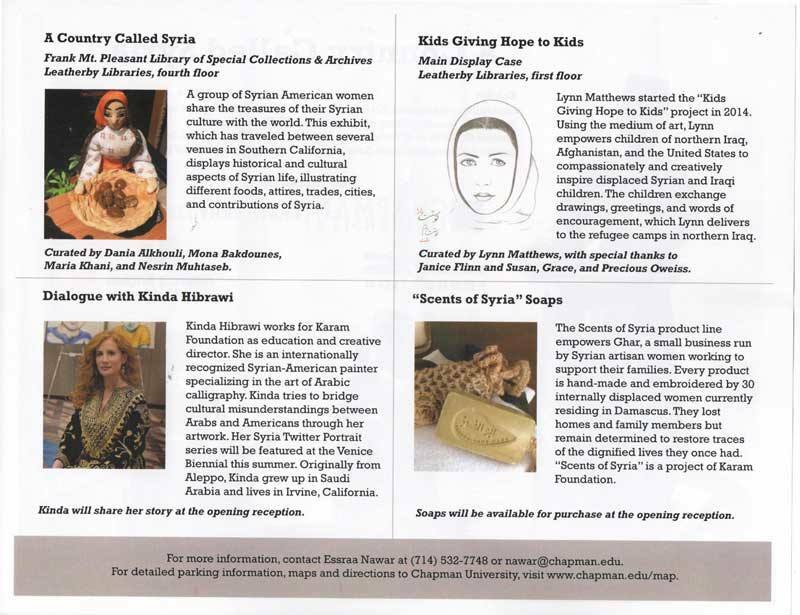 In September 2015, Kids Giving Hope to Kids was truly honored to be a part of the "A Country Called Syria" Exhibit at Chapman University. This is the first time we have displayed any of these drawings. We hope these drawings will touch people's hearts and give these kids a voice that will be heard around the world. 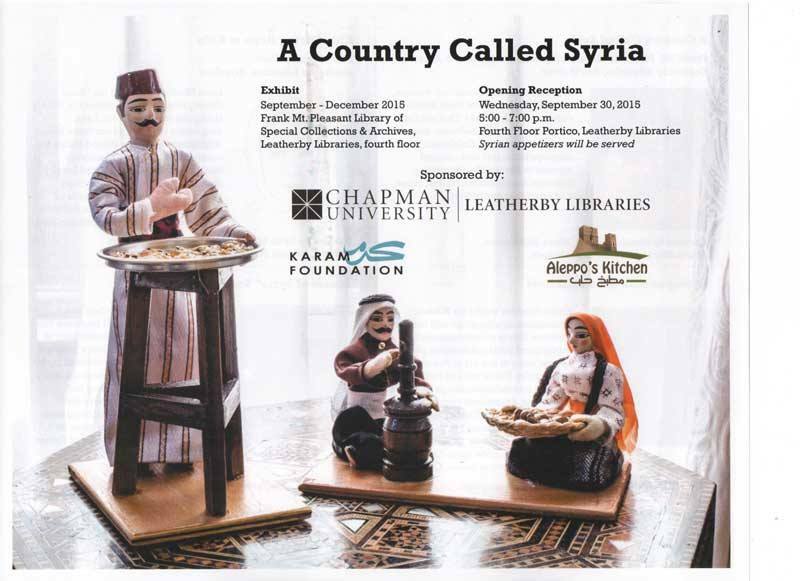 Many of the kids drawings were on display inside the Leatherby Library at Chapman University from August - December 2015. In March 2016, Kids Giving Hope to Kids was invited to participate at an event at Biola University. 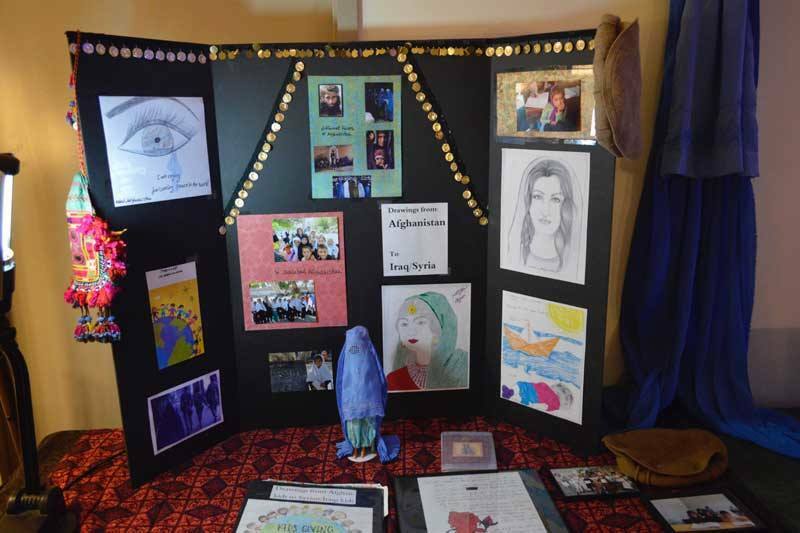 In May 2017 and in May 2018, Kids Giving Hope to Kids was invited to an event by Iraqi Children Foundation in Virginia. 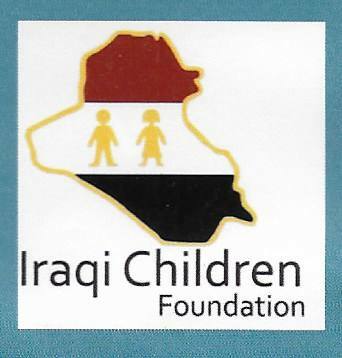 Iraqi Children Foundation (ICF) is a wonderful organization which is committed to helping Iraq's most vulnerable children.